I like shortcuts – a speedy path to healthy, delicious and enjoyable works for me. And baking soda is one of those solutions that always blows my mind. The advantages of using it as a natural cleaning agent around the house are truly amazing – even for tough jobs like cleaning silver. We would have a stinkier house for sure if it wasn’t for this miracle cleaner. 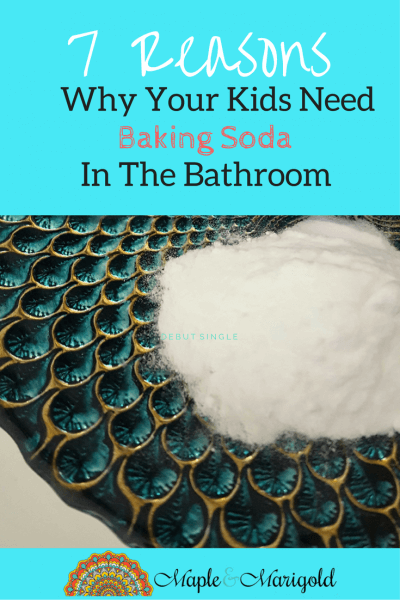 But along with being a part of my regular house keeping routine, baking soda is also an important part of my kids’ lives. With their growing bodies I find there is a need to tweak our personal hygiene routine. And baking soda with it’s natural and mostly mild effects is an essential part of my medicine cabinet. Baking Soda, aka sodium bicarbonate, helps regulate pH. That mean it works to keep a substance neither too acidic nor too alkaline. And with it’s natural, mild effects and anti-bacterial propertes, it makes a valuable addition to our family’s personal beauty and hygiene routine. With growing kids and bodies it’s important to evolve personal hygiene routines to accommodate the effects of puberty and an active lifestyle. Applying a thick paste of baking soda and water in the armpit area during shower reduces body odour during the day. This is a natural way to postpone the use of fragrances and commercial deodorants for kids. Baking soda has a mild abrasive action that helps to remove plaque and clean, and deodorize teeth. Use your fingertip or your toothbrush to apply and rub it on the teeth. 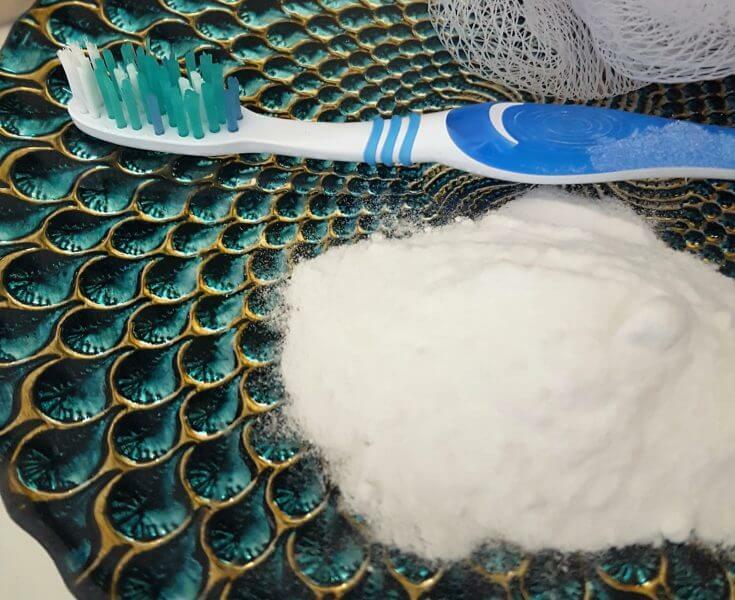 Baking soda with it’s antibacterial qualities helps to freshen the mouth. If there is a splinter in the railing, my kids have a way of finding it. Sadly over the years I’ve become quite an expert at maneouvring tweezers and yanking out splinters. Did you know baking soda makes that job easier and less painful? I didn’t till recently. Especially a splinter that’s deeply embedded. Add a tablespoon of baking soda to a small bowl of water. Soak the affected area twice a day. Many splinters will come out on their own after a couple of treatments. And you don’t need to torture your child. Been there, done that! Every summer we travel to India to visit family. This is also the time that mosquitoes are out in full force and by the end of the trip my kids have dozens of mosquito bites. A thin paste made of baking soda and water applied on the insect bites helps relieve itching. I’ve also tried rubbing the dry powder directly onto the skin, and while it doesn’t stay on as long, it works. I’ve heard this trick is also effective for itchy rashes and poison ivy. This is part of our weekly routine. 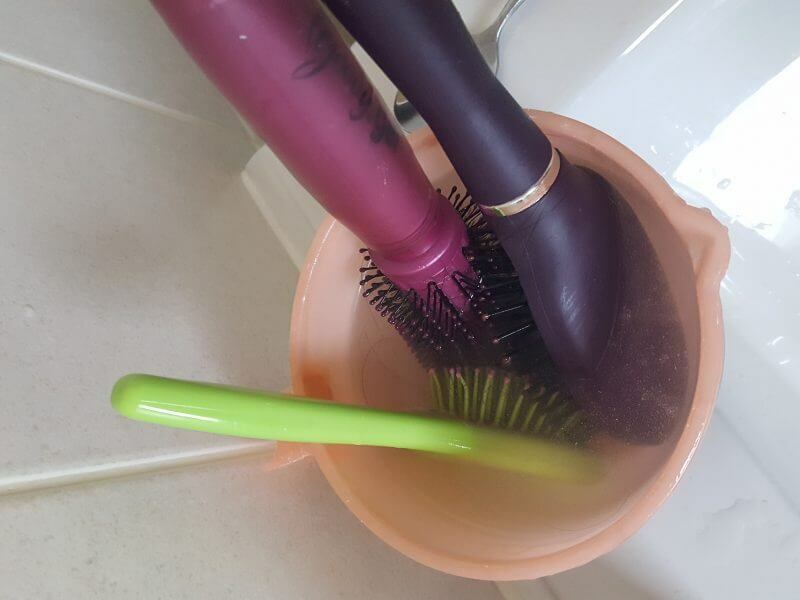 Soak combs and brushes in a solution of 1 teaspoon of baking soda in a small basin of warm water. This is a great way to remove natural oil build-up and freshen and clean the combs and brushes. Kids who skate and run and jump, and are in general active kids need this remedy for their tired feet. Fill the tub with a few inches of warm water and dissolve 3 tablespoons of baking soda in it. Soak feet and afterwards gently scrub. It’s a great relief for tootsies and scrubs away dead skin. This is a life saver – or rather a nose saver. Sprinkle baking soda in soccer cleats and tap shoes, and hockey skates and whatever else your kids have going on. Leave it overnight and dust afterwards. You’ll notice the change. I leave an open box in the coat closet (that is next to the bathroom!) and not only does it deodorize the closet, it is also in easy reach to use as needed. Seven good reason. I didn’t know about the insect bites and the splinters! I love baking soda for so many reasons. Thanks for your feedback, Salma. Happy Friday! WOW..I didnt know all these benefits of baking soda. M definitely using it for cleaning my brushes n combs.